Puffins are colorful and strange birds. They capture the attention of anyone lucky enough to see them up close. Their beak is high and flat on the sides with strips of red, yellow and blue. Although the colors fade during wintertime one can still see it´s true colors. 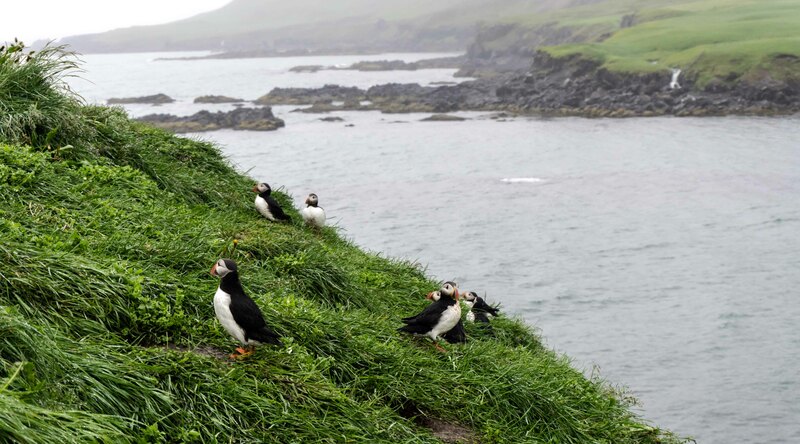 The puffins spend wintertime out on the sea, far from the human eye. But form the beginning of May they start to return to islands and cliffs to mate and nest. They stay on land, until around August 20th when they fly back out to the sea. 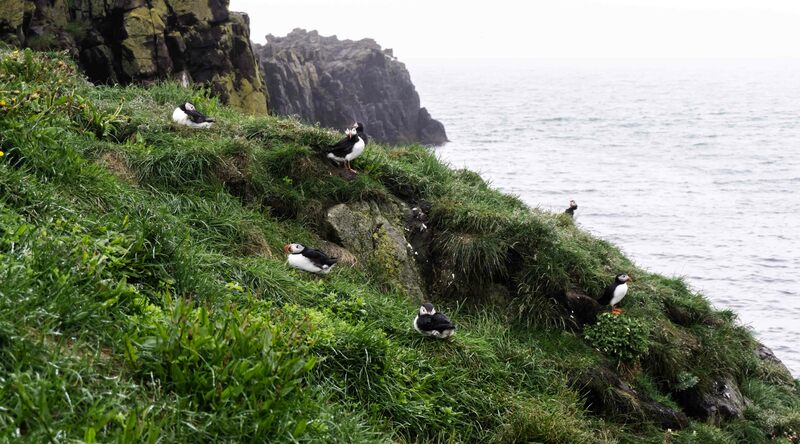 During nesting time the puffins dig holes in the grass brinks of islands and cliffs where they lay their eggs. There they attend to their chicks until they are big enough to catch fish on their own. By that time the chicks throw themselves from the cliffs down to the ocean despite not yet being able to fly. When visiting East Iceland you can venture to Bakkagerði village in Borgarfjörður where there is a large colony of puffins visible at a close range.